The history of India can be traced back over 5,000 years, with several different kingdoms reigning at different periods of time. Each dynasty brought their own unique blend of architectural styles, leaving behind a generous legacy of brilliant artistry. Here are some of the most splendid monuments from across the country that you must see when you visit India. The Taj Mahal is dedicated to the memory of Mughal Emperor Shah Jahan’s most beloved wife, Mumtaz Mahal, who died giving birth to their 14th child. 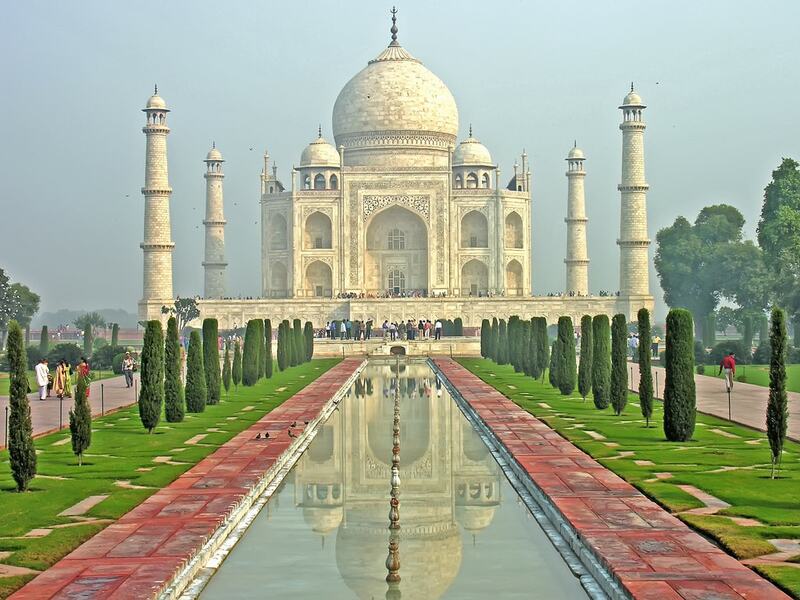 Even today, this symbol of love continues to leave its beholders completely awestruck – 20,000 people worked on this exquisite white marble monument inlaid with 28 types of precious and semi-precious stones. It attracts around 2 million visitors each year. 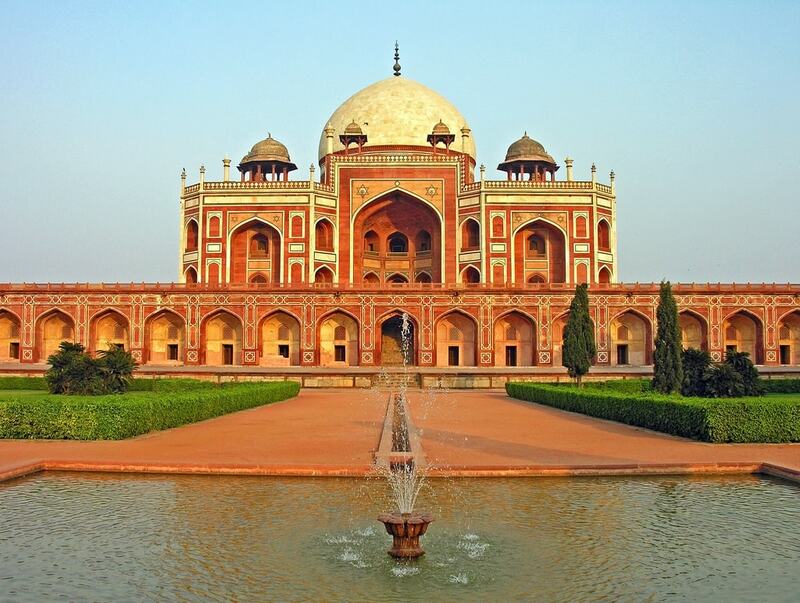 Constructed 60 years before the Taj Mahal, Humayun’s Tomb was the first of the many imposing mausoleums constructed during the Mughal reign. Humayun’s son and the third Mughal ruler Akbar, had commissioned the construction of the shrine, the likes of which had never been seen before in the Islamic world. The impeccable geometry of the red sandstone and white marble structure is a thing of absolute beauty. This red sandstone monument is steeped in history. Constructed by Emperor Shah Jahan, the Red Fort housed many different kings and nobilities through the course of time. 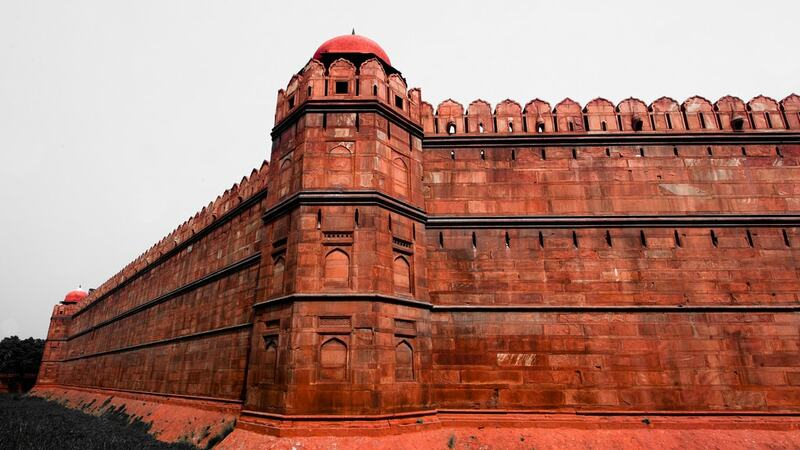 Once said to be decorated with the famous Koh-i-Noor diamond, the walls of the Red Fort were gradually stripped of its jewels as the Mughal kings’ wealth and power started crumbling. The importance of the monument, however, has never diminished. Today, it serves as the site for India’s Independence Day celebrations each year. 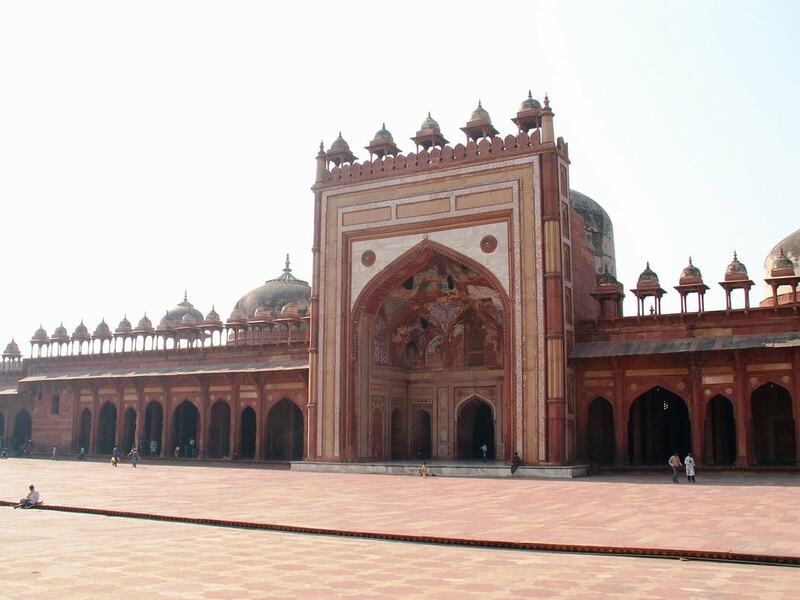 Fatehpur Sikri, which served as emperor Akbar’s capital for 13 years, was the first planned city of the Mughal era. After his meeting with a Sufi saint, who resided in a cavern in Sikri, Akbar was blessed with a son. As a sign of reverence to this saint, the emperor moved his capital from Agra to Fatehpur Sikri. The mosques and palaces inside this ancient city are considered architectural masterpieces. Located on top of a small hill in the Raisen District of Madhya Pradesh is an ancient Buddhist complex built during the Mauryan period in the 3rd century BC. The great Mauryan king Ashoka, who founded one of the largest empires in ancient India, converted to Buddhism after he was deeply affected by the bloodbath he saw during the Kalinga War. Ashoka sent relics of Buddha all around his kingdom and erected stupas over them. 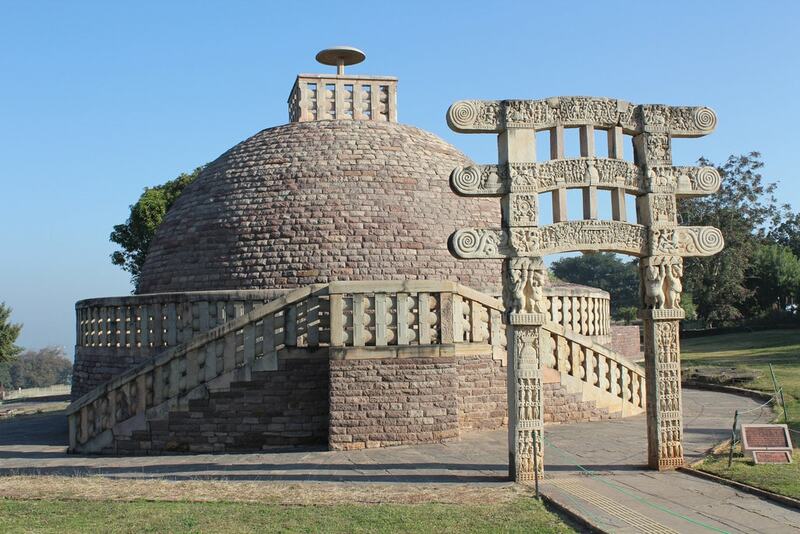 The Great Stupa of Sanchi is the most famous of these religious monuments. 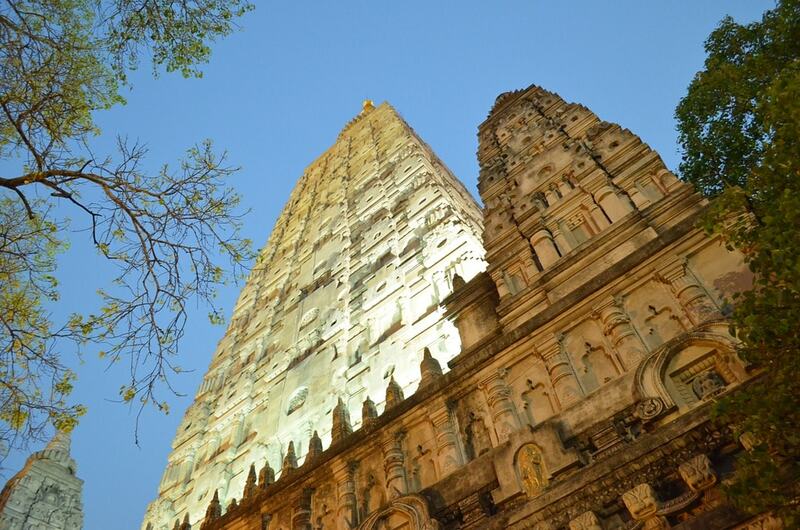 Under the Bodhi tree at the Mahabodhi Temple in Bodh Gaya, Lord Buddha is said to have attained enlightenment. It is the first Buddhist temple built by Emperor Ashoka, with subsequent kings adding to the structure. Constructed in 260 BC, it is also one of the oldest brick temples in India and set an exemplary precedent for future architecture in the country. India’s most famous war memorial pays homage to over 80,000 Indian soldiers who died fighting during World War I and the Third Anglo-Afghan War. 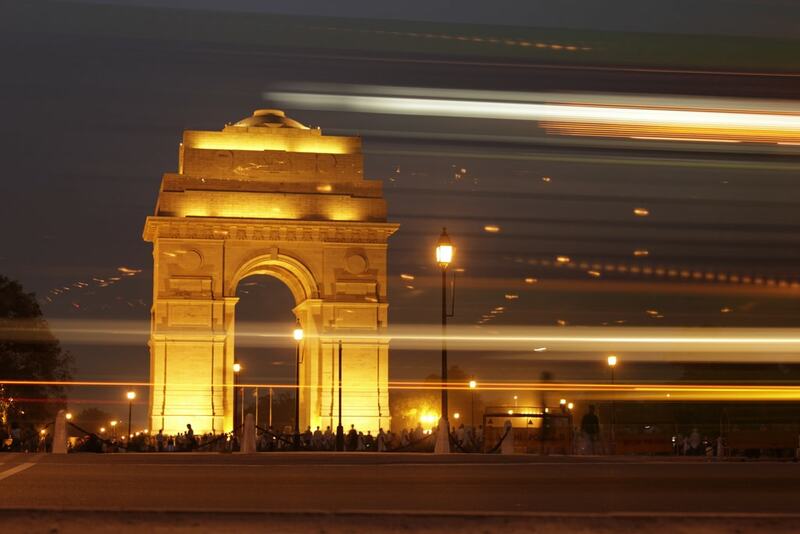 Designed by the celebrated architect Sir Edwin Lutyens, India Gate is often likened to the Arc-de-Triomphe in Paris. The construction of this stunning 240ft-tall brick minaret was started by Qutab-ud-din Aibak in 1192, His heir, Iltutmish, added three more storeys, while the fifth and final level was built by Razia Sultana, the first and only female Sultan to rule over Delhi. 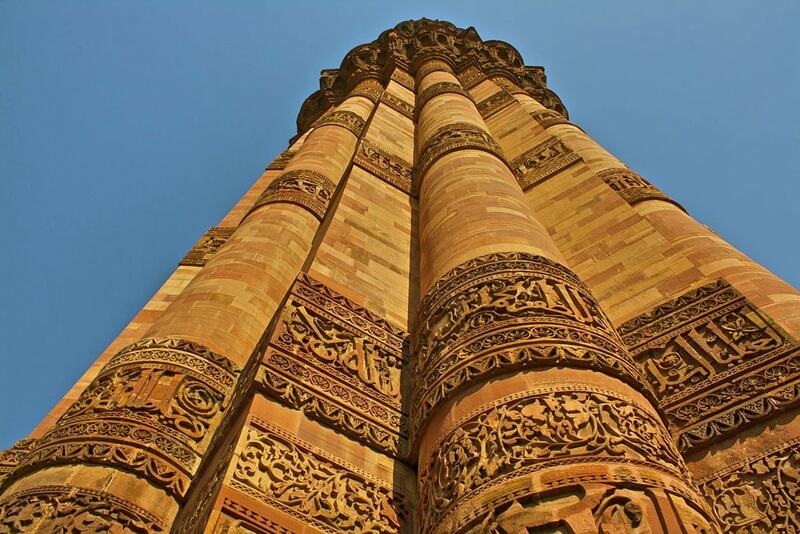 The Qutub Minar is culturally significant as one of the first Indo-Islamic monuments to be built in the capital city of India. 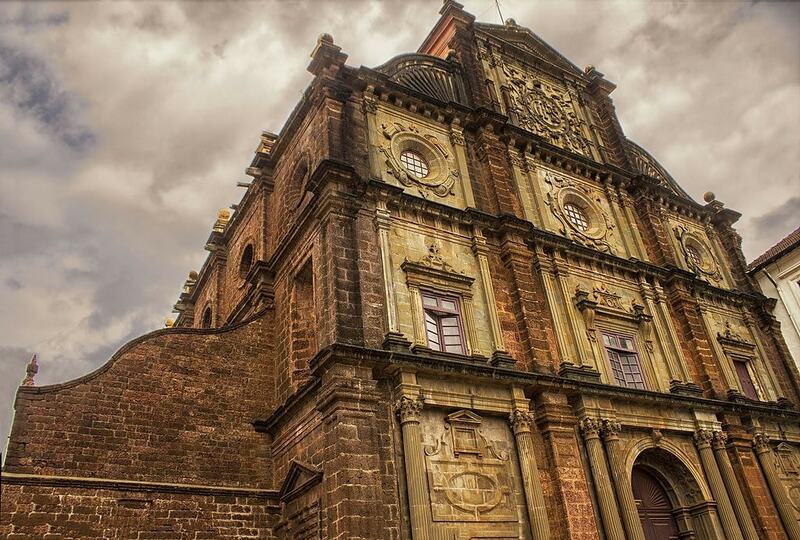 The Basilica of Bom Jesus is one of the most eminent Roman Catholic churches in India. Its construction was started in 1594 and completed in 1605. The mortal remains of St. Francis Xavier, who played an influential part in the establishment of Christianity in India, is preserved inside a silver casket in the Basilica. This UNESCO World Heritage Site has long been admired for its Baroque architecture. 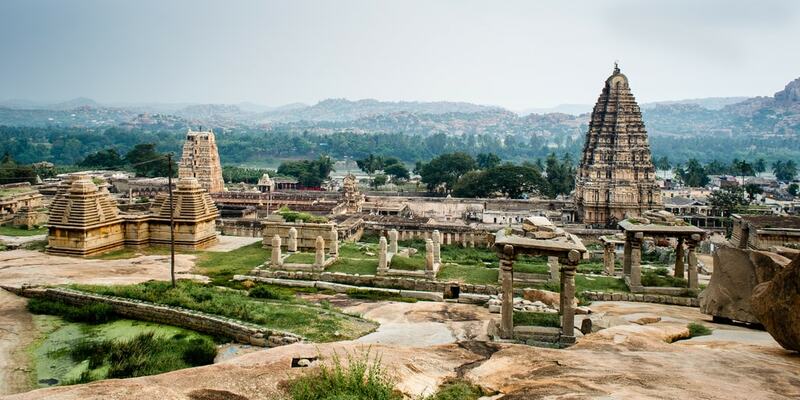 In its glory days during the early 16th century, Hampi was the wealthiest kingdom in all of India. The stories of its prosperity reached far and wide, and travellers from all over the world flocked to the city. The monuments of Hampi were later demolished by the medieval Sultans of Delhi, but even when in ruins, they are still breathtaking. Rajput king Sawai Jai Singh II built five observatories around his empire and the one in Jaipur has the highest number of instruments and also houses the one of the world’s largest stone sundial. 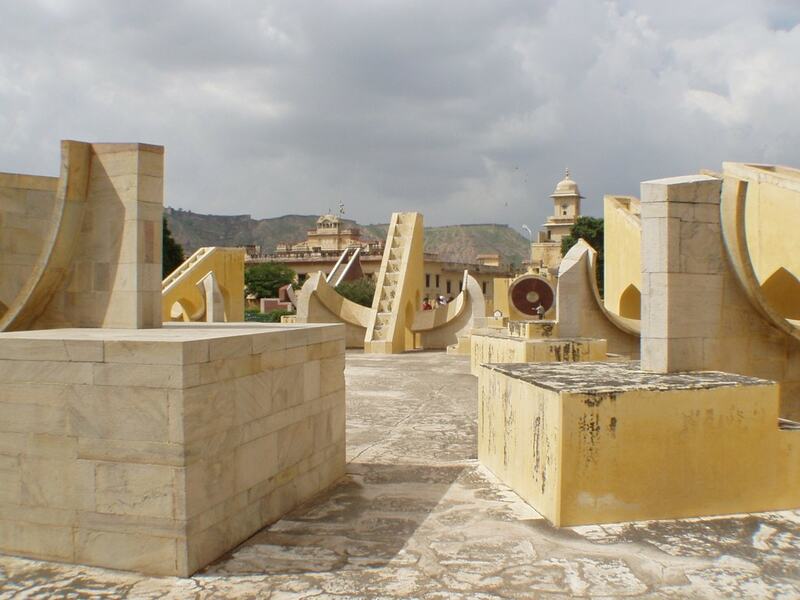 Apart from measuring time, the Jantar Mantar which means ‘instrument of calculation’, was used to forecast eclipses, locate the position of stars and celestial bodies and study other aspects of astronomy. The meticulousness with which the structure has been built is truly admirable. 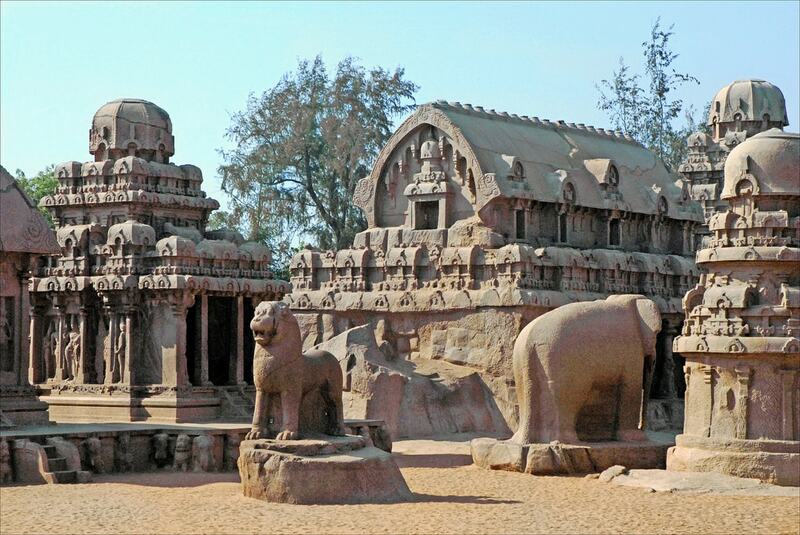 The monuments at Mahabalipuram in South India were built by the rulers of the Pallava dynasty between the seventh and eighth centuries. The rathas, or chariot-shaped temples, are probably the most prominent constructions here. Along with cave sanctuaries, the monument complex also includes one of the world’s biggest open-air rock reliefs. Named after the Rajput king Rawal Jaisal who built the fortified city in 1156, Jaisalmer Fort is a spectacular structure. The Fort is said to have provided shelter to travellers along the Silk Route and today, is home to about 3,000 people who continue to live within the walls. 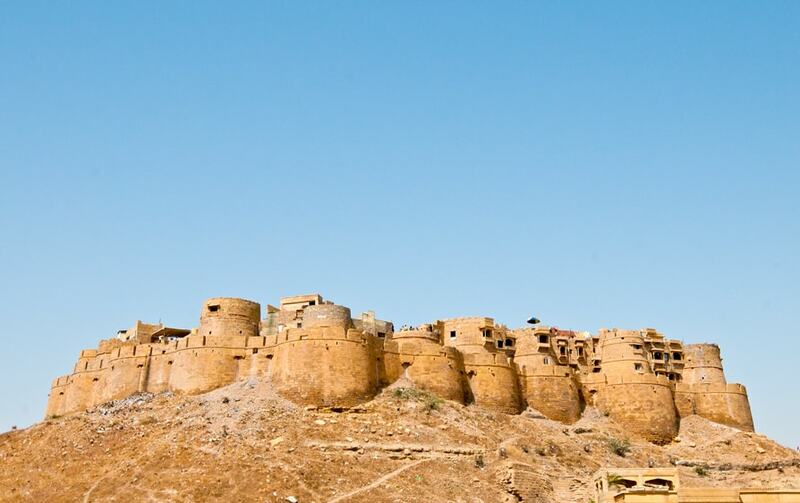 To watch the colour of the Jaisalmer Fort alter with the movements of the sun is absolutely magnificent.